Saved | Holy. Just. Love. Can you prove you are going to Heaven? If you’d like to examine yourself, take a look at our Fruits Audit Section to gain greater insight into your own salvation. Become an ambassador for Christ and share this post with your friends and family. This could be the single most important thing you do all day! God is Holy, God is Just, and God is Love. God is the Almighty Creator of this universe. “In the beginning, God created the heavens and the earth.” – Genesis 1:1 He is also the one who made us. “then the Lord God formed the man of dust from the ground and breathed into his nostrils the breath of life, and the man became a living creature.” – Genesis 2:7 With this in mind, we must admit that He is ultimately in charge of us. He created us to have a relationship with him and it was perfect. Unfortunately, because we have a choice in how we respond to God, sin entered the world because people wanted to use their freedom in a selfish way (Genesis 3). They decided to do things their way rather than obey and follow God. Their choice in favor of sin rather than obedience to God caused them to be separated from God. We are now born into that sin and no longer have a perfect holy relationship with God. The wages of sin is death and complete separation from God. “For the wages of sin is death, but the free gift of God is eternal life in Christ Jesus our Lord.” – Romans 6:23 I’ll say it again, we have no option other than complete separation from a holy God. “but your iniquities have made a separation between you and your God, and your sins have hidden his face from you so that he does not hear.” – Isaiah 59:2 Your payment for your sin will be required and that is what Hell is. By the grace of God, however, he has provided a solution. He is the purest form of it. He came up with a perfect solution to the sin problem. A love so crushing that when you think about it, no human would do what he did. This loving good news is that he sent his only Son, Jesus Christ, God in living human form. “He is the image of the invisible God, the firstborn of all creation.” – Colossians 1:15, to pay, in-full, the price of your sin by becoming the ultimate sacrifice. “For God so loved the world, that he gave his only Son, that whoever believes in him should not perish but have eternal life.” – John 3:16 Have you ever read the verses beyond John 3:16? I encourage you to do so right now. Click the above link to John 3:16 and find out what it says. Give your life completely to God and have faith in Him. “and be found in him, not having a righteousness of my own that comes from the law, but that which comes through faith in Christ, the righteousness from God that depends on faith” – Philippians 3:9 Ask him to forgive you of your sins and ask God to take control of your life. “… you turned to God from idols to serve the living and true God,” – 1 Thessalonians 1:9 Thank the Lord that he is Holy, Just, and is Love. Can you Prove Your Salvation? When you were born your parents were very aware of your growth. They had 100% proof that you were growing. If you were not, you would be taken immediately to the doctor. I remember having my baby and freaking out because his weight was in the 10th percentile. I was searching for any cause of lack of weight gain. Even to this date I obsess over the fact that his feet seem to not be growing at all while the other kids in his class have shoe sizes that are 3 sizes bigger. Moms search for evidence and proof of growth and life, constantly. How is it then that we never, or hardly ever, search for proof of growth and life in our faith? 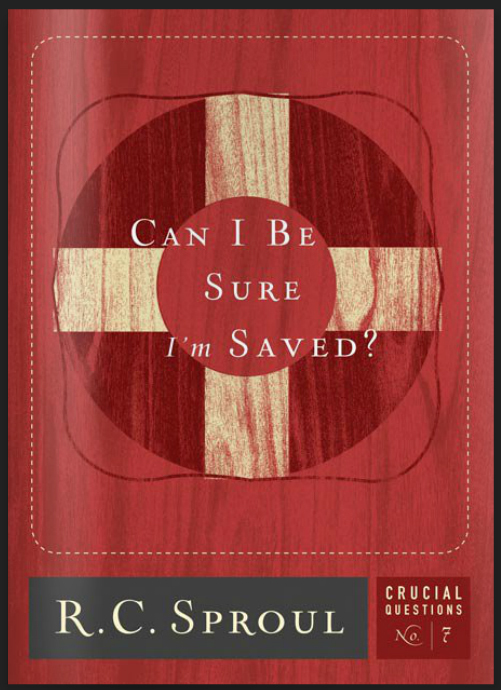 To have assurance in your own salvation is a huge thing. The word “hope” in biblical terms does not just mean you hope it might come true one day, but that it actually means “confident assurance.” That is a very different meaning and I think you would love to have confident assurance in the fact that you are going to Heaven. Take a look at our Fruits Audit Section to gain greater insight into your own salvation.